The Hong Kong–Zhuhai–Macau Bridge (HKZMB or HZMB) is a bridge–tunnel system, which consists of a series of three cable-stayed bridges and one undersea tunnel, as well as two artificial islands. 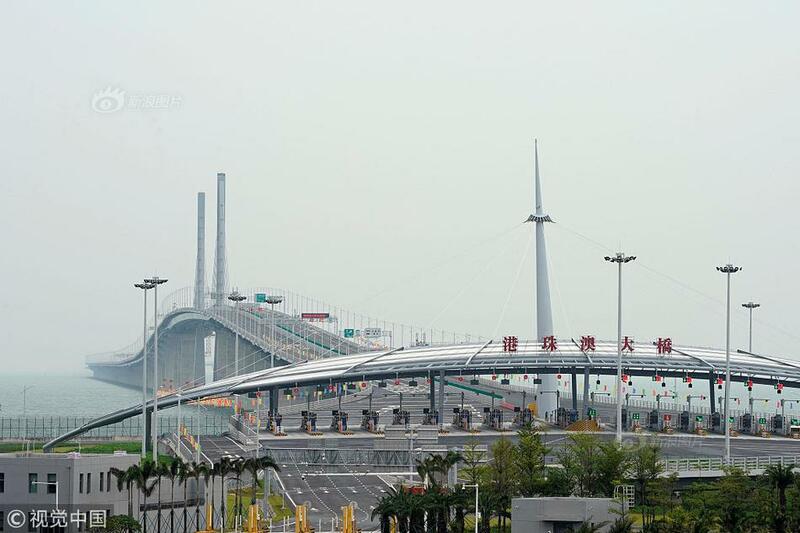 It spans the Lingdingyang channel, which connects Hong Kong with Macau and Zhuhai, three major cities on the Pearl River Delta. For the construction cost of the HZMB Main Bridge, the total contribution of the three places (Hong Kong, Mainland and Macau) will be RMB¥15.73 billion, among which the government of the Hong Kong will contribute RMB¥6.75 billion. It is among the longest fixed-links in the world and is a major landmark in the area.